Today I am walking from Kilve to Stert Point, via the Hinkley Point nuclear power station. It is a hazy morning, with intermittent sunshine. I take a photo of a dog walker on Kilve beach, while looking back at the way I came yesterday. The white peaks of Minehead’s Butlins are just visible on the far shore. The first part of the walk is an easy ramble up a track, passing along the edge of fields, through an area called ‘Gallop’ on my map. After a mile of walking, I reach a lookout tower. The tower is surprisingly well-guarded, surrounded by high fences topped with barbed wire, and a sign says “Royal Navy Aircraft Range”. Not an ordinary coastguard post. The path here is bordered with wild flowers, and has been since Quantock’s Head. I believe this is a deliberate conservation scheme, with participating farmers agreeing to set aside the coastal strip for this purpose. It is really beautiful, and so much better than walking along the edge of arid mono-crop fields. Although in some places, the wildness can make the path difficult to find! I come over a rise, and Hinkley Point power station is growing larger on the horizon. I pass a sign saying “Lilstock Outfall” and then the path comes to an abrupt end on a shingled beach, next to a large cairn of rocks. There is a hand carved wooden sign at the base of the pile. “Thank you for putting a pebble on this pile. This is where my wife Molly’s ashes are scattered.” I decide that when I die that is the kind of memorial I would prefer. I realise I have left the official footpath, which diverts from the shore at Lilstock and carries on along the top of the cliffs. It’s tempting to continue straight ahead – but I’m not sure how far I can make it along the shore, neither can I see a way up and onto the cliffs if I come to a dead-end. Although I know other coastal walkers have made it along the beach successfully, I believe the coast path has been closed as it passes in front of Hinkley Point, and the beach might be closed off too. It is a long stretch of wasted walking if I am forced to turn back. And the shingle looks tough. And I remember how fast the tide comes in. In the end, I retrace my steps and find the path that leads across the top of the cliffs. It is very overgrown in places. Hard going. Perhaps I made the wrong choice? Frustratingly, high hedges obscure the sea view and cut off the breeze. It is hot work. But I can watch the farmer on his tractor. When I do get a glimpse of the beach below, I am amazed by the intricate geometry of the rock formations: intertidal platforms with curving ridges, interlaced with rock pools, flat sections with scored creases, and cobblestone rocks closer to shore. The ground rises. I am approaching Hinkley Point. I meet surprisingly few people. An older couple walking along the cliffs, and a group of youngsters settling down for a barbecue. I had imagined this area around the power station as a vast open space, well-used by locals, similar to Sizewell and Bradwell, where walkers seemed to congregate. Just as I anticipated, the coastal footpath is diverted inland. What a shame. I can hear the noise of something large and heavy on the beach below. Construction machinery? But I can’t see past the overgrown hedges. So I set off on the alternative diversion. And what a diversion it turns out to be! Luckily, I don’t know how far or how difficult the walk will be at this point, and I set off in good spirits, following the boundary of the power station. There is something rather intimidating about walking alongside these fierce fences. The CCTV cameras seem to track every step I make. And several patrol cars come crawling past on the other side of the fence – 3 during my walk. I wonder if I should put my camera away, but don’t want to be intimidated into doing that. I keep telling myself I am on a public footpath (albeit a diverted one!) and have every right to be here. On the southern border, a new looking footpath has been created through an area of young trees. I know they are doing their best, but the path seems to amble with no obvious purpose. It is hot and dusty. The trees offer no shade and there are no wild flowers. But at least I have lost the intrusive surveillance of the perimeter fence. 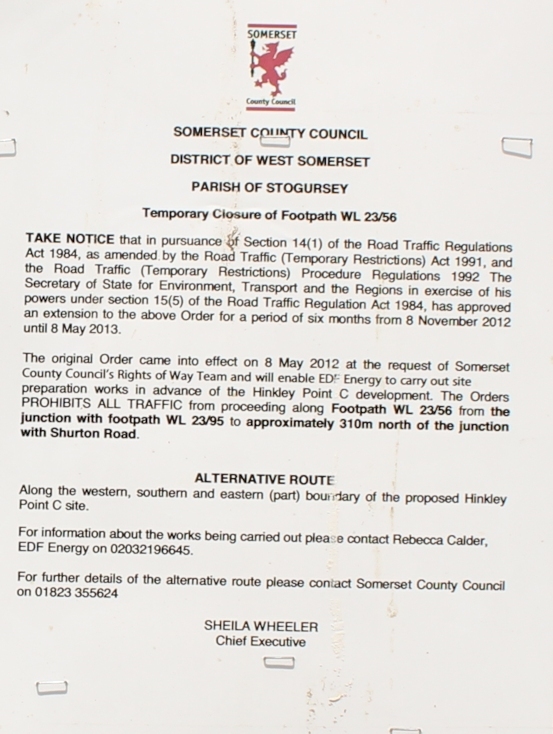 I come across an official Somerset County Council sign, warning of the extension of a “temporary” closure of a footpath until May 2013. Over a year ago. Onward. Along a track cleared across a grassy wasteland. At this point, I have no idea where I am, as the new ‘paths’ I am following seem to bear no resemblance to anything on my map. Some buildings ahead may, or may not, coincide with a collection of buildings labelled ‘Doggets’ on my map. Back to the perimeter fence again. More cameras. Tracking me. Another couple of patrol cars crawl by. I am beginning to recognise the crews. One seems a friendly woman. We wave to each other. But my heart sinks when she stops the car ahead of me. I am beginning to get quite paranoid. Is she going to question me? Ask why I have a camera? She points to me. Oh no. But then she points away at something else, and I realise she is pointing out a deer doe and two young ones. They are about 50 yards away. 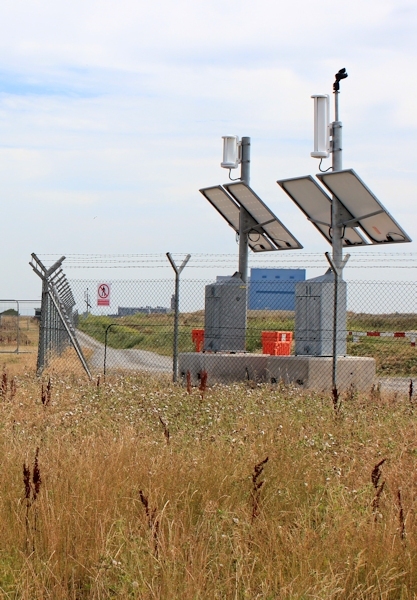 I walk around a strange dogleg in the perimeter fence (later I realise this is an L shaped piece of common ground and, presumably, EDF is not allowed to fence it off). I end up very close to the deer, who scurry away along the path. I don’t bring my camera up in time – and they disappear into undergrowth. The blocks of Hinkley Point are close by. I am nearer to them now then I was before. I have been aware of a road to my right. At one point, fed up with the scrutiny of the fence cameras, I thought of joining it. Now the path turns an angle, and I find myself standing on the side of the road, with the footpath continuing ahead. At the sight of open fields through the gate, I can I feel my shoulders relaxing, and suddenly realise how tense I have been feeling during my long trek around the forbidding fence. Tired, hungry and thirsty too – because I didn’t feel like stopping for lunch while under surveillance. The worst part of the walk must be over. Whew! This entry was posted in 11 Somerset and tagged coast, hiking, nuclear power station, photography, travel. Bookmark the permalink. Yes, you did warn me! Please could you send the GPS files? Have you got my email? It’s nota pleasant diversion is it? I was followed round the perimeter by a security vehicle until I made a point of stopping to talk to the driver. Apparently he couldn’t decide if I was a walker or an anti-nuclear protester. Since the diversion is going to be in place for some years, I think they could do more to make it walker friendly! I know we need power stations and the like but it does make me angry when businesses black off footpaths or make them difficult to use. I’ve had experience of farmers putting up private property signs to deliberately mislead walkers, even though the path is open and so much of our countryside seems to be disappearing. I wrote to Somerset Council and have had a nice email response. They realise the re-routed footpath is not exactly walker-friendly and have already put up new signs explaining the diversion (the original notices were vandalised) – so hopefully things will be improving. 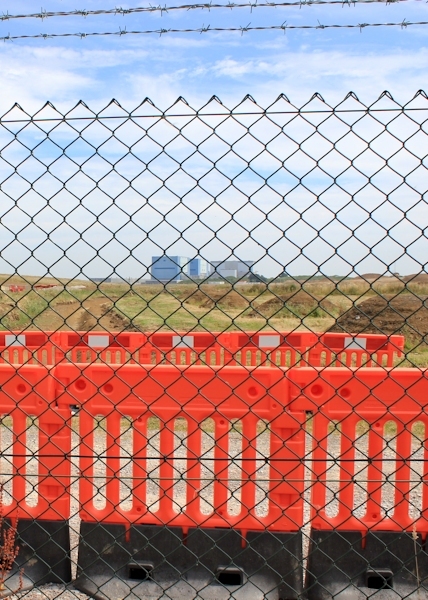 I’ve seen Hinkley Point so many times but I’ve not yet been up close – it looks very intimidating, to say the least! I’m glad you made it past there alive!! Hi Olly, yes it was intimidating. I know they have to be vigilant because of terrorists and eco-campaigners – but it felt a bit over the top. Glad you found it useful. Yes, thinking back it would be very easy to miss the footpath if you were walking from the east side. Walked the diversion round Hinkley a couple of weeks ago: it is now much better signposted as it is now officially England Coastal Path. The coastal path north of HP is still closed. Given the investment in ECP signs It has the making of a permanent diversion, which really mars this stretch. Certainly it looks like it will be in place until any heavy stuff being craned in from the sea has been safely installed. The new ECP map still shows this as a possibility, but the adjacent security post is manned. Oh, that is good and bad news. Good that the signage has improved. Bad that the coastal stretch still isn’t open. Thank you for posting an update – very useful for other walkers. 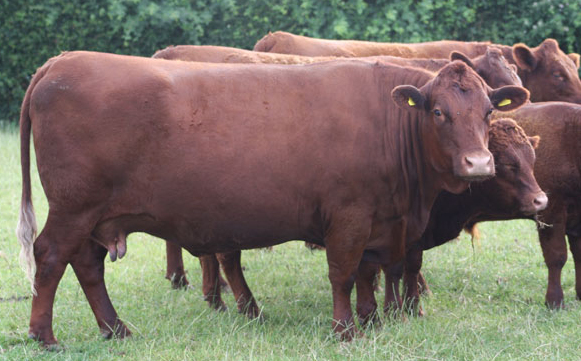 Glad you survived the frisky bullocks!